Unlike other assets in its immediate surrounds, 208 Clarence Street is not heritage listed, providing scope to redevelop the site and capitalise on the existing committed redevelopment of the precinct. With a strong and prominent street frontage, the building comprises a ground floor commercial suite and six upper office levels of commercial and office space. The Net Lettable Area of 1,306.2 square metres sits on a 252.9 square metre site and has potential for a fully leased net passing income of $540,000 p.a. The property is for sale through John Bowie Wilson and Jonathan Vaughan of Knight Frank. The improvements were originally constructed circa 1950, with the façade of the building refurbished in 1997 and the interior refurbished between 1997 and 2002 to provide a good standard of commercial accommodation. The property features a modern foyer area, refurbished facade and attractive floor plate sizes ranging between 190 square metres to 200 square metres. Mr Bowie Wilson said the asset is a well presented freehold building that will provide an incoming purchaser with a range of opportunities to further increase the value. “A diverse range of land-uses are permitted (with consent) including commercial offices, retail activities, registered clubs, entertainment facilities, and tourist accommodation. There is potential for residential accommodation, which is becoming increasingly popular in this area," he said. “The building offers popular floor plates for small to medium size businesses which would also appeal to an owner occupier and is at a price point that will facilitate a foothold into the tightly held CBD." A range of opportunities to add further value include potential to undertake active asset management initiatives to lease the vacant space and position as a long term investment; extend the existing building or redevelop the site to an alternate use; strata subdivide and/or create a ground floor retail tenancy, all subject to Council Approval. Mr Vaughan said the property is positioned to benefit from the economic growth of the Western Corridor. “The area already offers a diverse range of cafes, restaurants and shopping amenities that will be further enhanced by projected growth including Barangaroo and East Darling Harbour master planned area (Darling Harbour Live)," he said. “Prominent buildings within the immediate area include 161 Castlereagh Street, St Martins Tower, Town Hall House, 2 Park Street as well as the Darling Park complex located a short distance to the West. 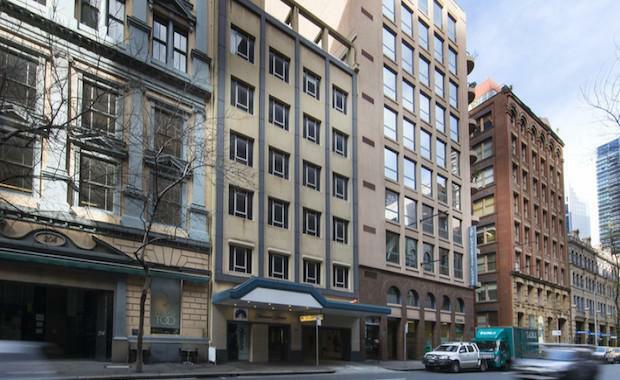 Additionally, the property is within close proximity to The Chinese Gardens, Pitt Street Mall, Cockle Bay, The Galleries Victoria, The Queen Victoria Building and Town Hall Square. The property will be offered for Sale by Public Auction on Thursday 30 October 2014 if not sold prior.